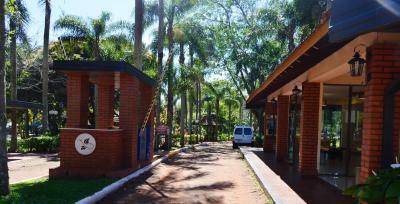 The place was convenient for accessing Iguazu Falls. 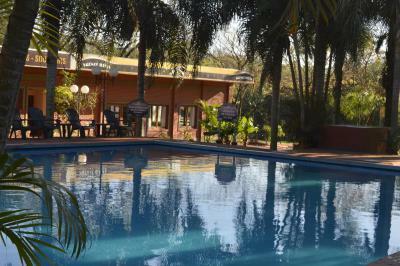 It is a nice place with two pools and absolutely focussed on families. Closest hotel to falls, bus outside so very convenient. 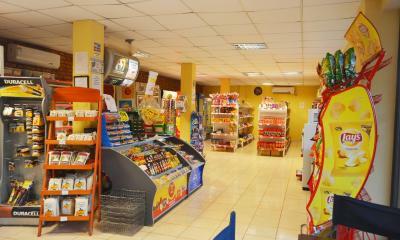 Staff were helpful and friendly. Все было очень хорошо и приятно!!! Очень красивый отель, тихий, есть место где отдохнуть, погулять, детям играть! Спасибо, ужетне первый раз отдыхаем в этом отеле и всё очень нравится!!! 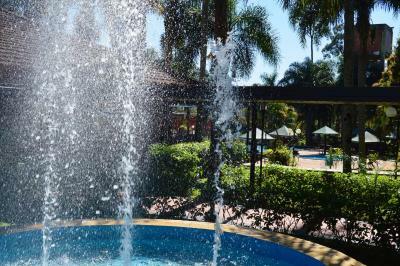 Las dos piscinas el entorno tranquilo mucho parque los servicios el desayuno EXCELENTE!!! Baños limpios toallas EXCELENTE!! Un lugar tranquilo muy bien ubicado. Lo recomiendo 100%. El desayuno es delicioso y completo. En la recepción te ofrecen servicios y las excursiones, el chico es muy amable. El lugar lindo, con la naturaleza, el cuarto confortable. Pero no hay wifi en las habitaciones ni un teléfono para comunicarse directo con recepción el cual está muy retirado de mi habitación. Yo que vengo de tan lejos es importante tener el internet para comunicarme con mis familiares. 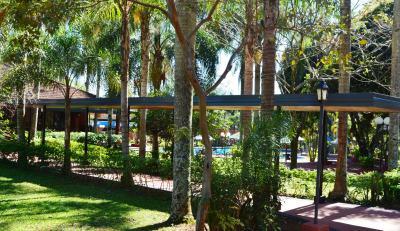 Complejo Americano is located in the Misionera Rainforest, 11 mi away from the Iguazu Waterfalls and 4.3 mi from the local airport. The hotel offers free Wi-Fi. 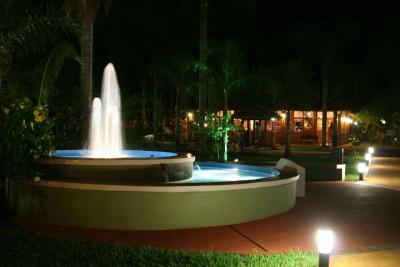 Rooms at Complejo Americano are comfortable, and provide air conditioning and cable TV. 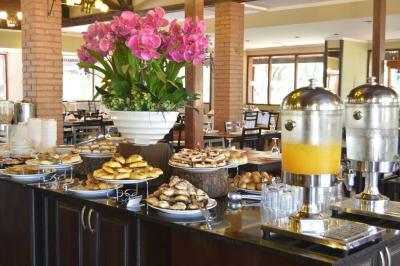 An on-site buffet restaurant with a seating lounge is featured and breakfast buffet is included. 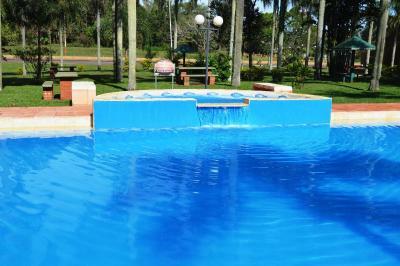 Complejo Americano features a large outdoor swimming pool. 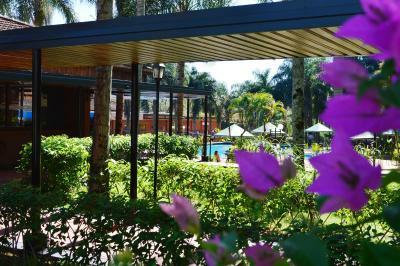 When would you like to stay at Complejo Americano? 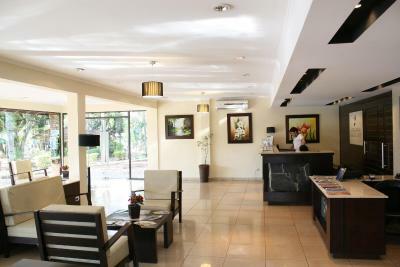 A quiet and spacious room featuring cable TV, a private bathroom access to the BBQ area and maid services. Linen is included. 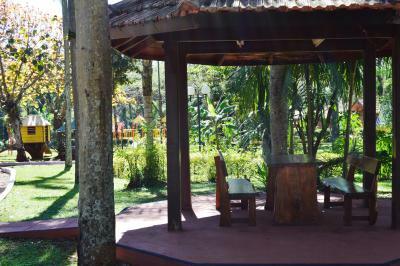 A quiet room featuring cable TV, a private bathroom access to the BBQ area and maid services. Linen is included. 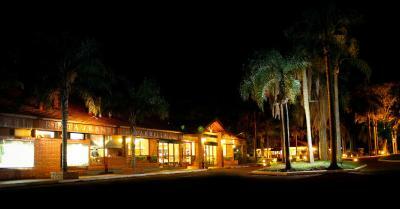 A quiet room featuring cable TV, a private bathroom access to the BBQ area and maid services. Linen is included. 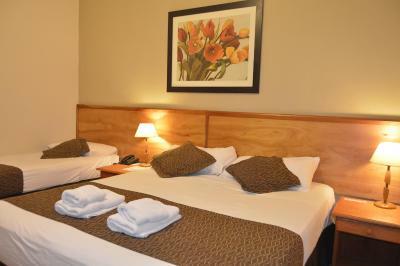 It can accommodate a double bed and a single bed or 3 single beds. 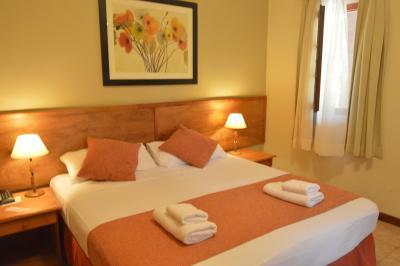 This double room has a patio, air conditioning and barbecue. 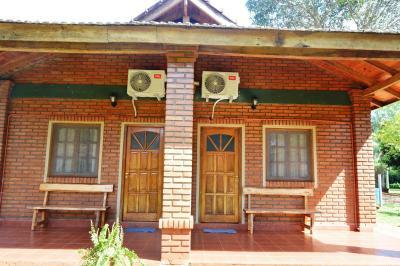 This triple room has air conditioning, patio and cable TV. 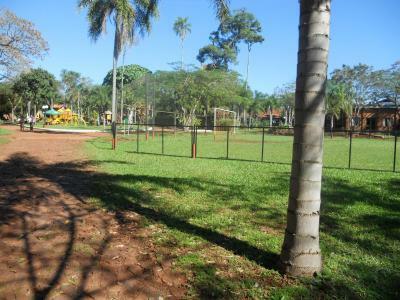 It is close to the property's facilities, including mini market, restaurant and pool. House Rules Complejo Americano takes special requests – add in the next step! Complejo Americano accepts these cards and reserves the right to temporarily hold an amount prior to arrival. Note that WiFi is only available in common areas. Please note that in Full board rates, drinks are not available. Very poor customer service. The staff really did not care about their guests. I found the staff to be unhelpful but that could be because I only speak English which is entirely my own fault. I just found that check in was hard, finding out how to get to the Falls was hard and no one really wanted to help me and when you’re travelling solo it’s not helpful. It is a bit out of town and there is no way to get a taxi from the street. Going into town if you do not want the hotel buffet will require a transfer, which is twice the cost. It may be easier to stay at the town proper with its many restaurants. 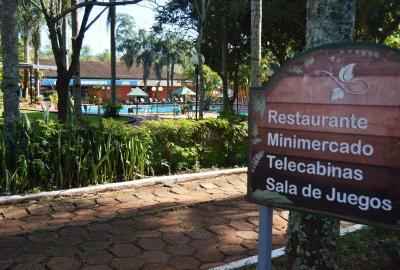 From there it is easy to take a cab to the falls or the Brazilian side. Cabs are available at every stand. The worst is the breakfast!! The pool area was very noisy. 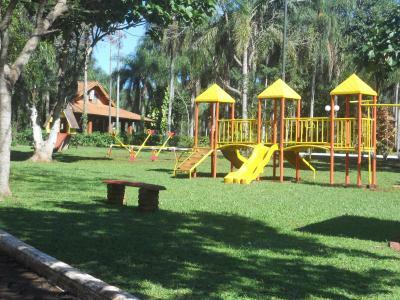 This is suitable for families and not for relaxing. I was surprised they had no sunbeds around the pool. The room was ok-ish but not very modern. The room and the bathroom they had definetly better times. They were not renovated since they open the hotel for sure! and the bathroom looks like a bad pension bathroom. Old and broken towels, oxydated lamps and taps, the shower was yellow... Very bad! 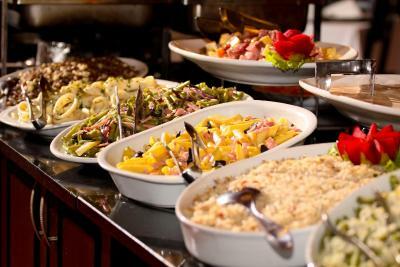 The dinner buffet was overprice for the horrible quality of the food. The food was quite dry, hard and tasteless. The selection was poor and salads were full of flies. Not many vegetarian options either. For the breakfast the food was a bit better but not huge difference.